The Freshman Class of ‘22 are officially Gold Ties!!! 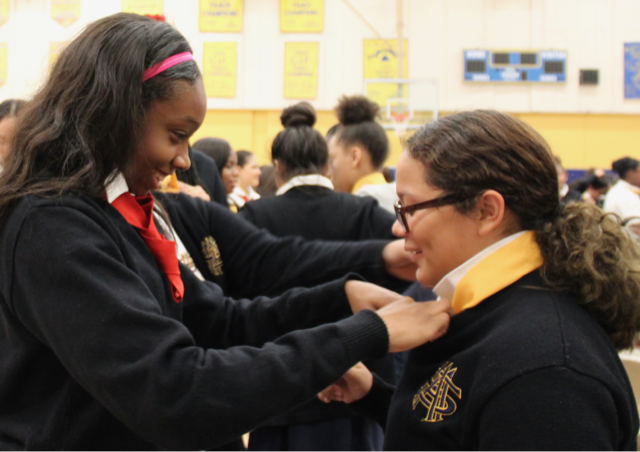 After presenting for their ties on October 5th the freshmen were surprised after mass on October 9th with the news that they had officially earned their gold ties. Their red tie, big sisters gave them a little tutorial on how to tie them afterward. These gold ties bind the class of ‘22 to a long line of sisterhood.